moving on, first we look at ResultSet. Maintains a cursor pointing to its current row of data. Initially the cursor positioned before the row (0). Another advantage is, rows can be inserted, updated or deleted by using updatable ResultSet object. The following code fragment, illustrates how to make a ResultSet object that is scrollable and updatable. The methods discussed in this section can only be used with updatable/scrollable ResultSet object. 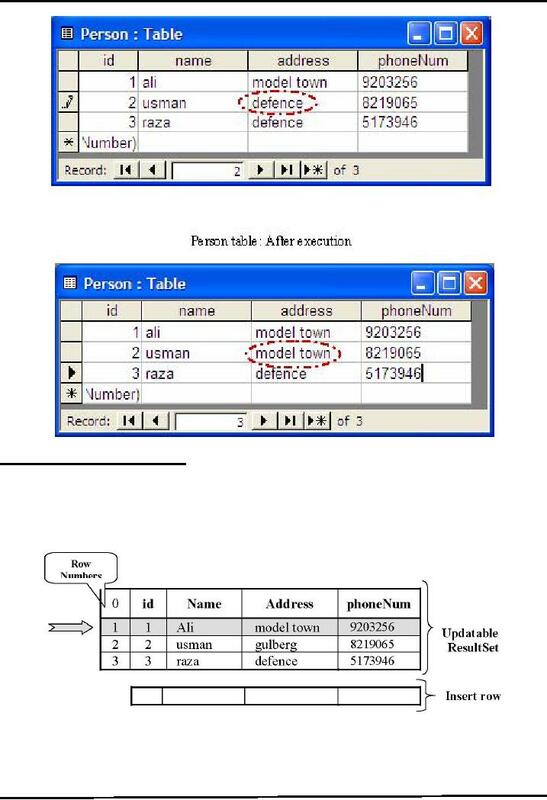 table of PersonInfo database, the one we had created earlier in this example and later on. -Moves the cursor to the given row number in the ResultSetobject. -If given row number is positive, moves the cursor forward with respect to beginning of the result set. end of the result set. 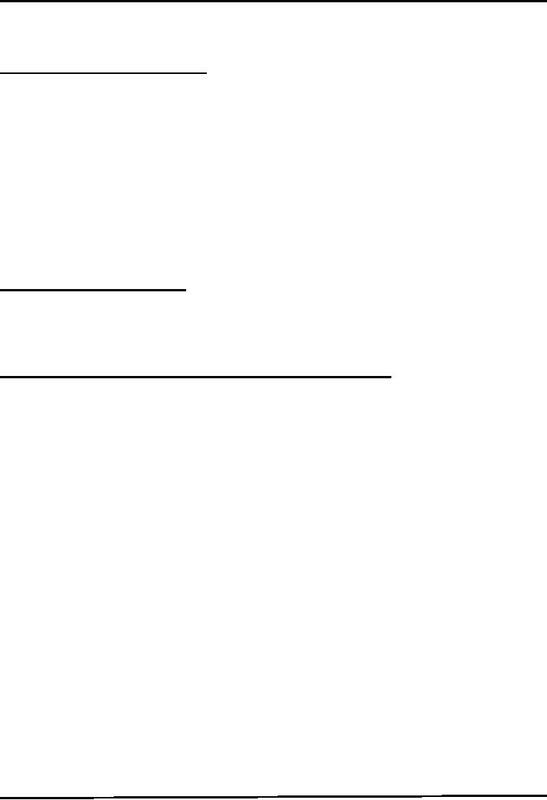 cursor to next-to-last row, and so on. 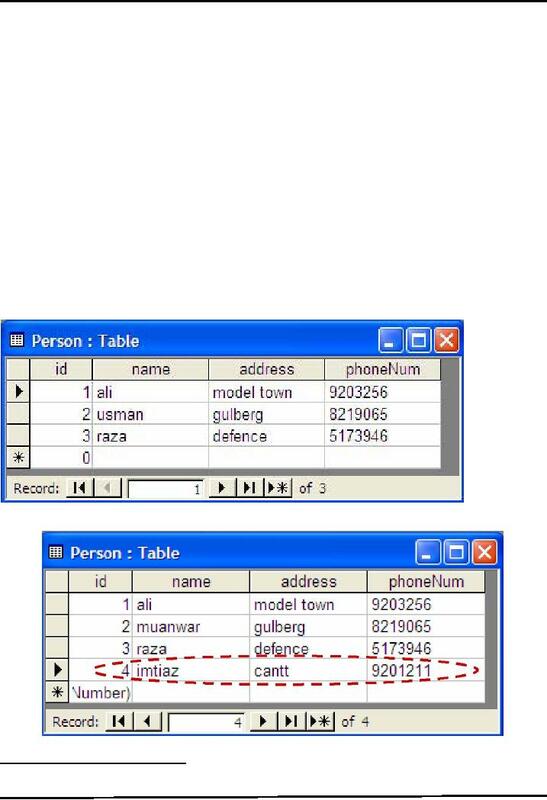 then uses the method updateRow to update the Person table in database. This code is the modification of the last one. Changes made are shown in bold face. -An updatable resultset object has a special row associate with it i.e. 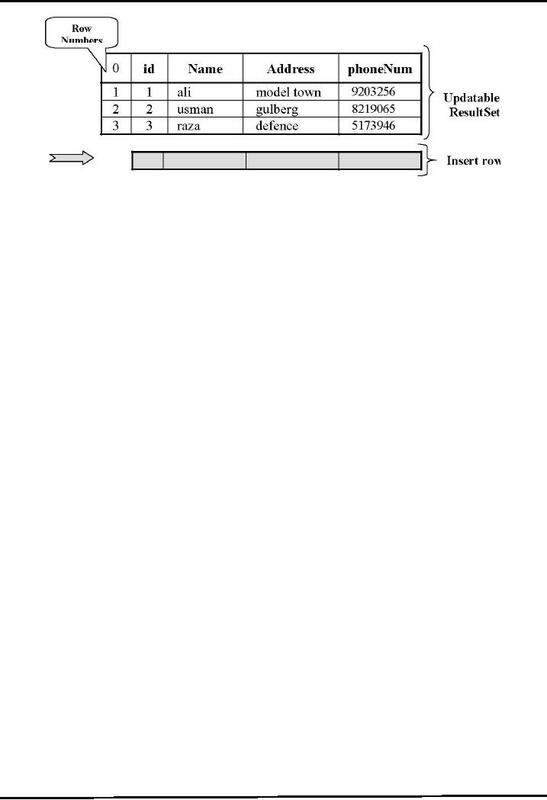 -For example, initially cursor is positioned on the first row as shown in the diagram. 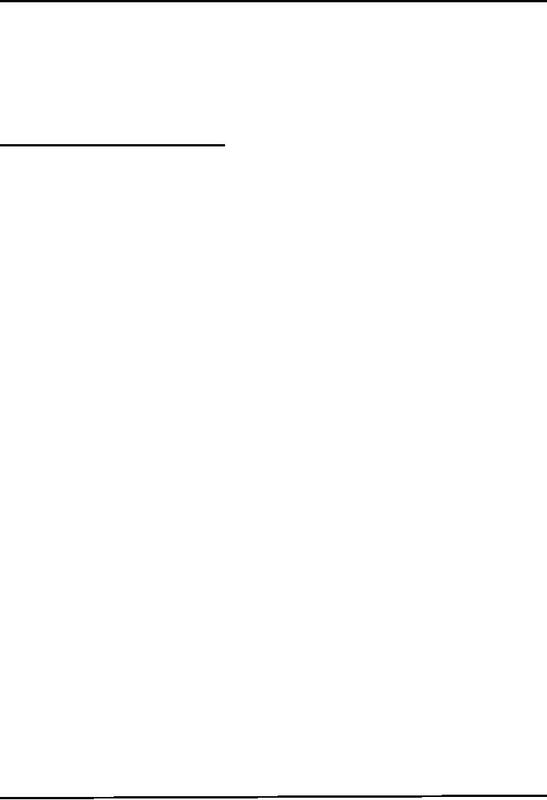 -As mentioned earlier, the first row has index 1 and so on. 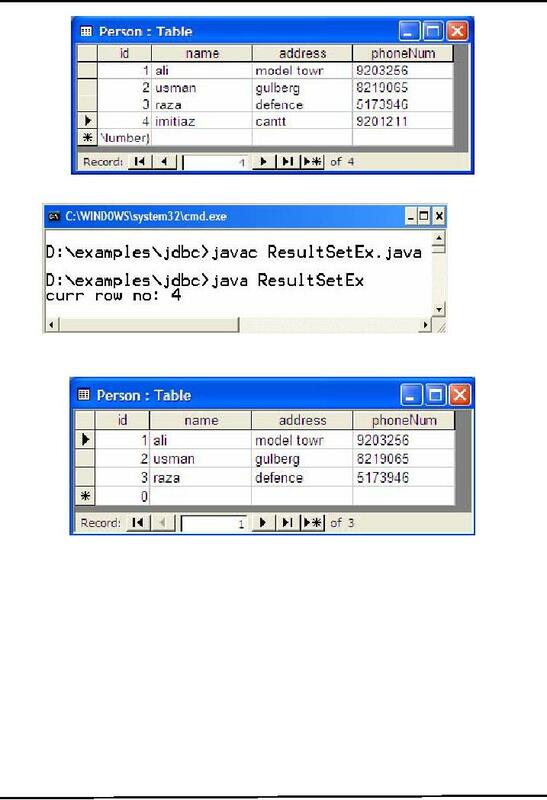 -Deletes the current row from this ResultSet object and from the underlying database. 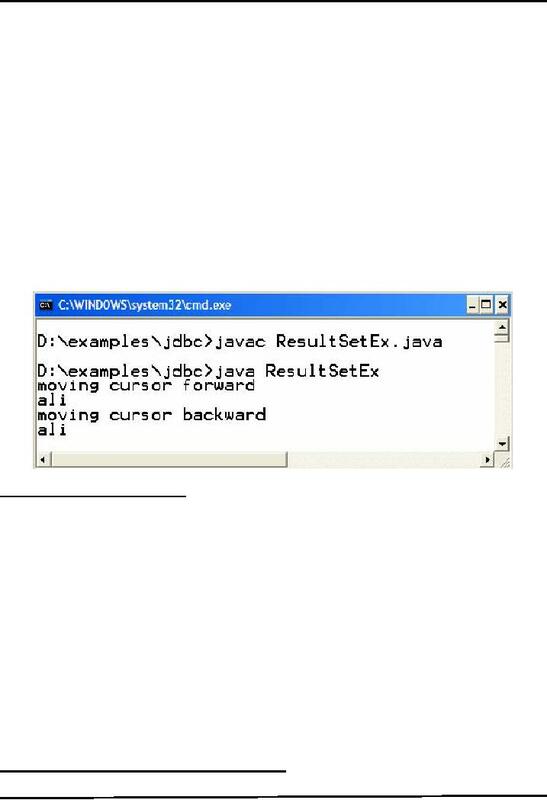 -Throws exception if the cursor is on the insert row. 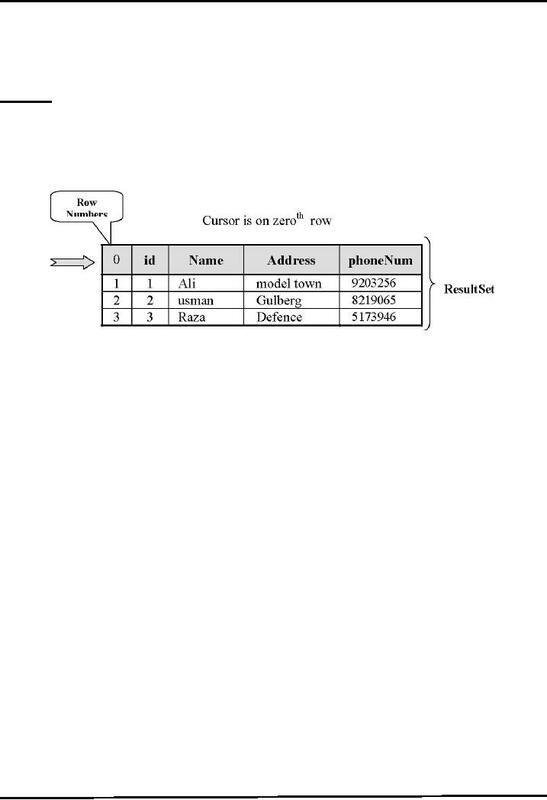 The given below example code shows the usage of last( ), getRow( ) and deleteRow( ) method. This code is also the modification of the last one. Changes made are shown in bold face.